The latest update to Fortnite on iOS adds support for MFi controllers. I don’t play Fortnite on iOS regularly, but I tried the game when it was released on iOS and have played on the Nintendo Switch from time to time. The game has done extraordinarily well on iOS, but on balance, I’ve preferred playing on the Switch because I found it much easier to play with a physical game controller than onscreen gestures. That calculus could change for a lot of players now that the iOS version of the game supports MFi controllers. I paired my SteelSeries Nimbus Bluetooth controller with my iPad Pro and gave Fortnite a try for the first time in months. Having played on the Switch, the controls felt immediately natural. 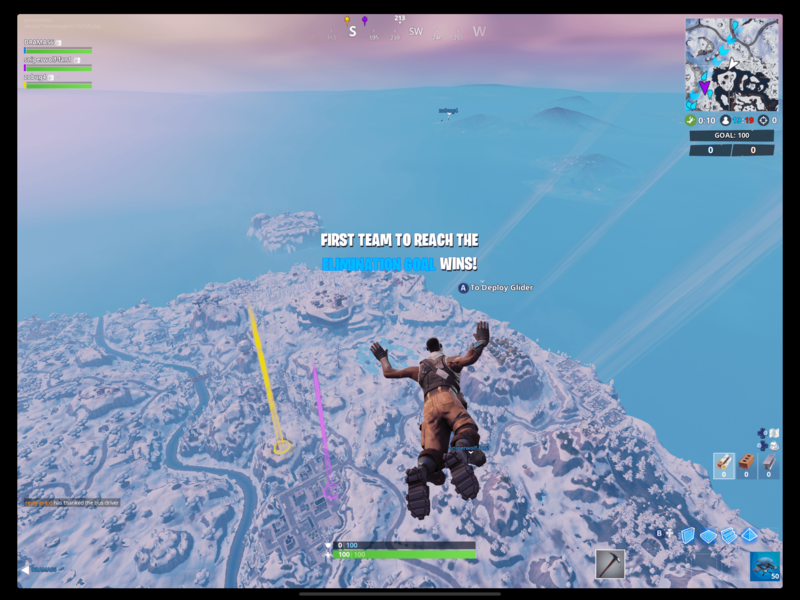 The game’s HUD has labels showing what each button does, and there are diagrams available in Fortnite’s help system too. The responsiveness of a Bluetooth controller isn’t on par with a wired game controller, but it’s a big improvement over onscreen controls and paired with an iOS device that can push 60fps, iOS can be an excellent way to play Fortnite. A full rundown on the latest Fortnite update is available on Epic Games’ website.